Gina came to Dr. Jacquie Smiles office as a young teenager because her lower jaw was growing forward and asymmetrically into a cross bite. (a bulldog like bite) She had a gentle spirit and has a heart of gold but was shy, introverted and quiet. Over 9 years of treatment with orthodontic appliances and rubberbands, she is done growing and has ideally completed her treatment WITHOUT having to have surgery. She is as stunningly beautiful now as when she first walked into my office but now exudes the confidence and smile on the outside showing what was always there on the inside! As an Invisalign professor, Dr. Jacquie teaches and certifies students and orthodontic residents in many of our dental schools and universities in the U.S. and Canada. She has also taught over 14,000 doctors, students and their teams in multiple areas of orthodontics throughout the world including North and South America, Europe, Asia, The Caribbean and the Middle East. Contact us the offices of Dr. Jacquie Smiles today for your no-obligation teeth straightening appointment with Invisalign in NYC. 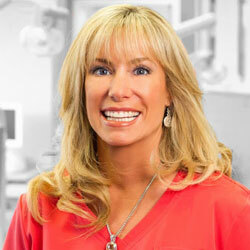 You may also call Dr. Jacquie Smiles at 212-972-3522. Our office is conveniently located near 30 East 40th Street Park Avenue, New York, NY 10016.